Starting today, Facebook will be rolling out advanced search features in the United States. Called Graph Search, the search tool allows users to search for things in a more semantic way similar to Google or Bing. Searching for things with phrases like “restaurants in Boca Raton that my friends like” will yield results based on the activity and conversations of your friends. Other targeted searches for photos, videos, posts, etc. will also be easier to find through similar phrasing (such as “photo of Agranoff before 1980”) to find your friend’s name linked to a photo labeled as being on or before 1980. Over the next few weeks, Facebook says, the search tool will roll out to all users with “US English” as their language setting, though most users based in the U.S. with this setting will get it this week. Graph Search has been in beta testing for about six months and Facebook says it’s ready for the public. Other improvements included in the rollout are better search speeds and higher relevancy. Over time, as it’s used, the search tool will improve through better relevancy as it begins to learn from the searches given to it and the clicked results of users. The tool can search through anything labeled or liked, but is not yet capable of searching everything in status updates or comments. They’re working on that part. A mobile version is also in the works, likely to release later this year. 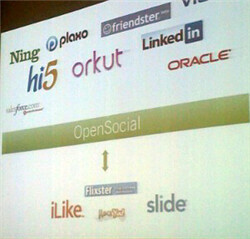 Further, Graph Search is limited to Facebook only and does not scour the Web like Google or Bing do. Privacy advocates should note that the search tool can only search and display results for things which were available to the person to begin with. So things shared to specific people (friends only, family only, etc.) will not be visible to friends of friends through a search.